Gone are those days where the websites were only limited to pictorial representations. These days, websites that are powered with interesting videos never fail attract to their customers. To achieve that, you would need some top responsive video website templates which can add a new meaning to your websites and attract the customers. 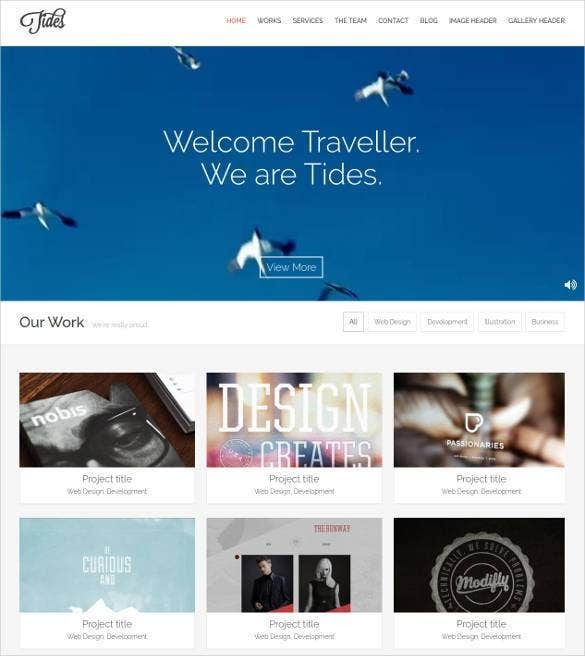 You can also see Video WordPress Themes. These Website templates can not only enhance the video feature but also you can do some high quality video editing with the help of them. The plugins and the drop down menus are extremely easy to use and these templates are capable of providing some of the best video output which you usually dream of. This video website template has a sleek design and promises to be highly functional with easy navigation feature. It comes loaded with some unique features like Ghost Buttons, Stylish B/W Color Schemes, and Circular Elements. 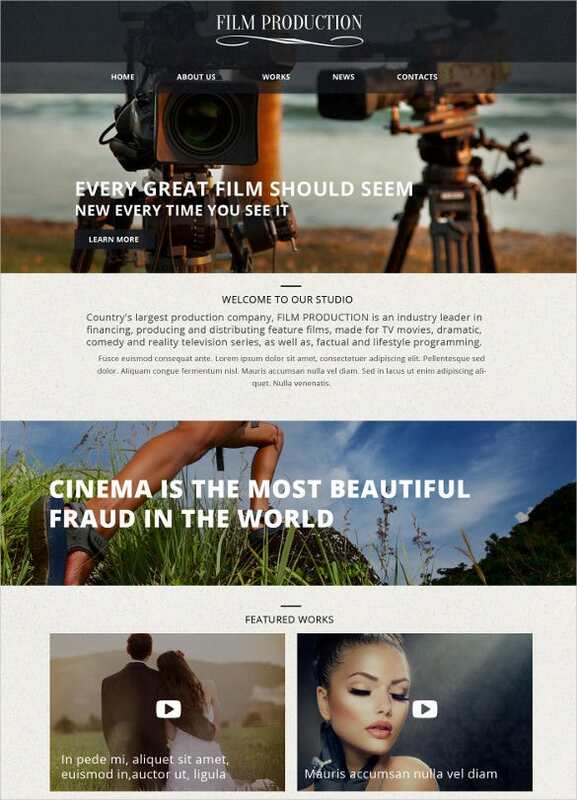 Video lab responsive website template is perfectly apt for videographers. 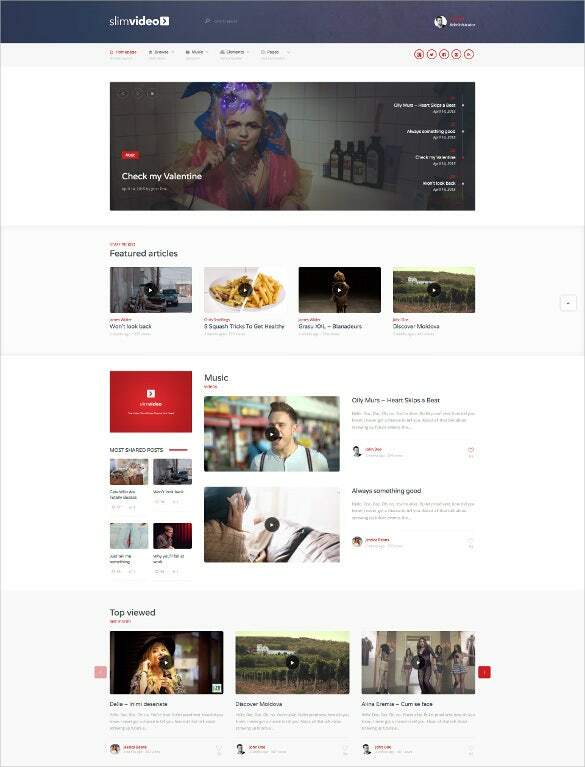 It comes loaded with Sliced PSD html video templates, Google Web Fonts, and Dropdown Menu. It has a responsive interface. This video sharing template features unlimited page layouts, unlimited footers and header layouts, and some very stylish and beautiful layouts. 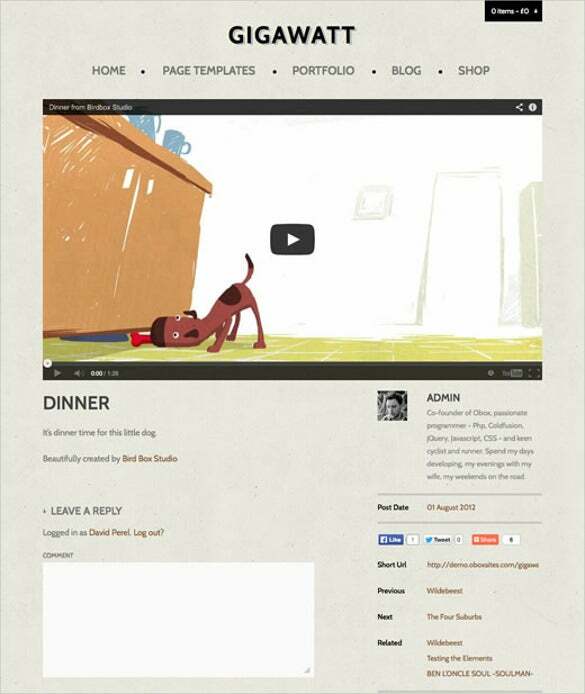 This template is perfectly apt for creating video blogs, tutorial sites, and podcasts. This simple video lab responsive website template is fully responsive and has been developed using HTML feature. This free video website template has some very cool features like social sharing, file sharing, Google web fonts, and sliced PSD files to name a few. 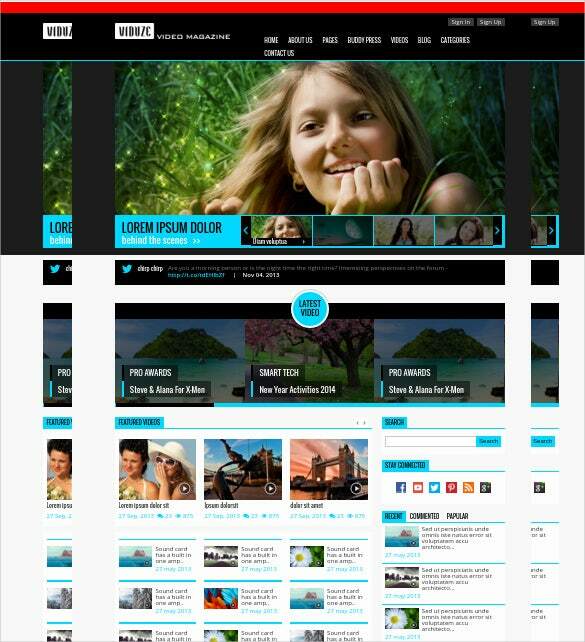 You may also see high quality responsive website templates. 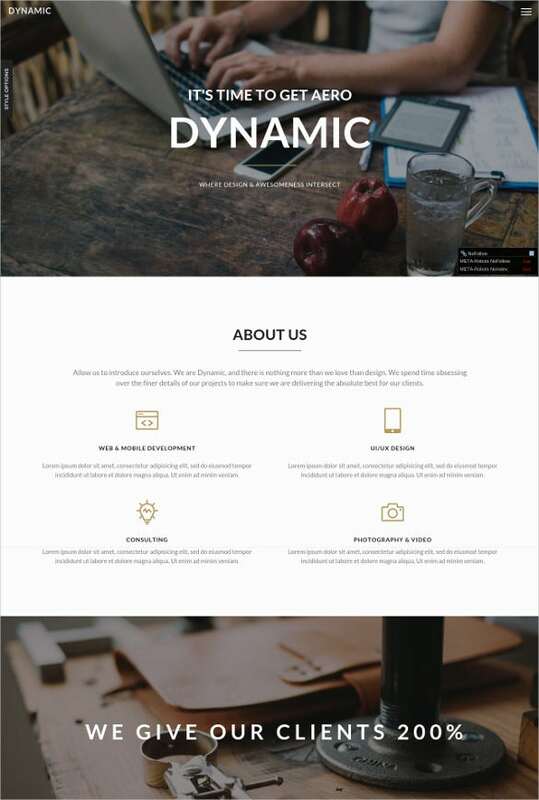 This is a responsive website template that comes with a niche design layout. It is loaded with some excellent features like sliced PSD files, favicon, Google Maps, and Dropdown Menu. 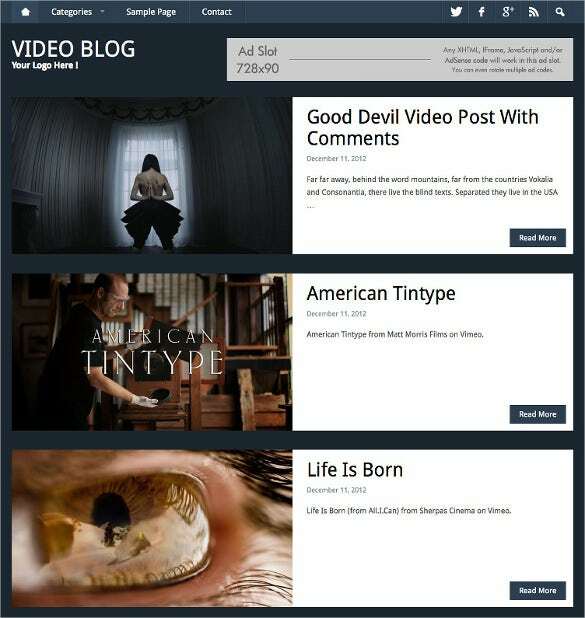 The Video Blog Website Theme promises to be totally responsive and 100% adaptive to WordPress settings. It features built-in options that offer true customization options to ensure best adaptability of the theme as per the requirement. 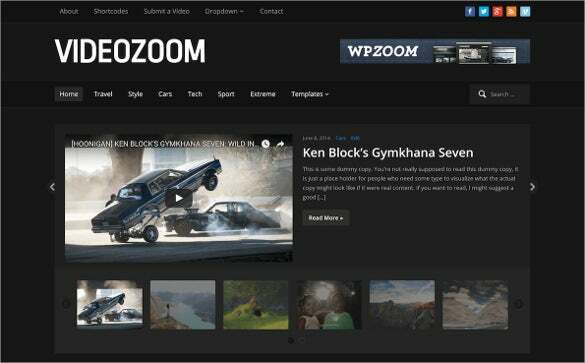 Videotouch wordpress video website template has a niche layout and is easy to use. It features built-in mega menu, unlimited color options, multi column layout, and highly secured. It is 100% responsive. 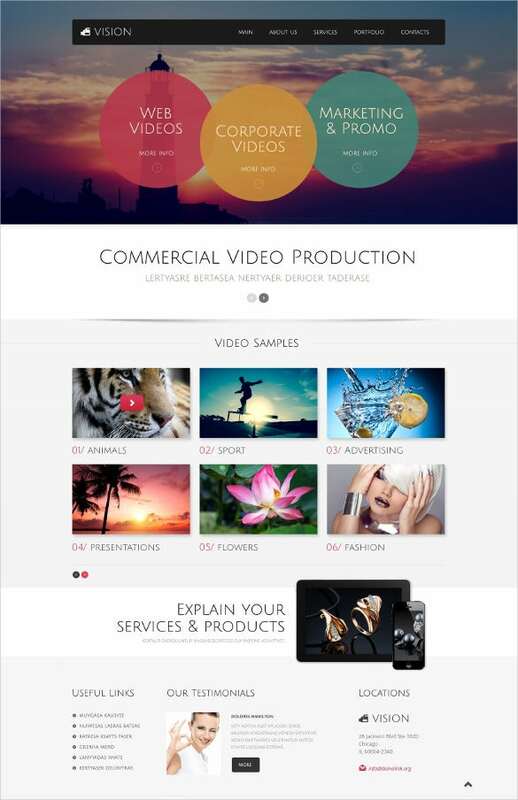 Videographer Responsive Website Template comprises of live video web page. Web sites which are powered with the fascinating videos will never fail to attract the customers. 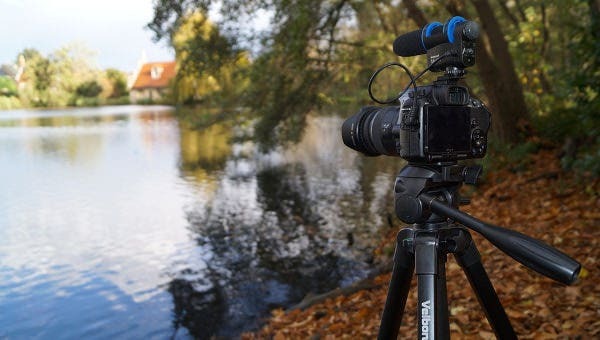 It can do the high quality of video editing. This is one of those fully responsive video templates that come loaded with full-width images to provide a sharp look to the websites. The template is loaded with advanced features and promises easy customization. 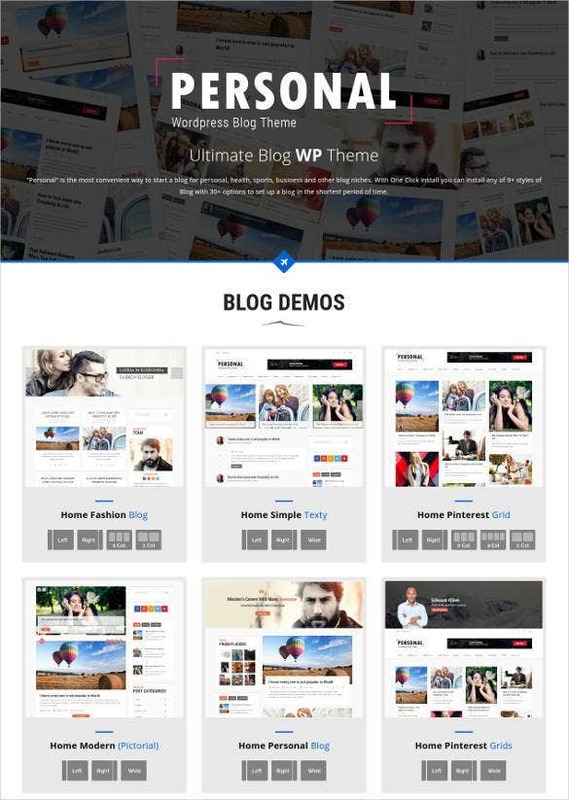 The most advanced Personal blog CV & Video WordPress theme is appropriate for all the blogging controllers and it is similarly good for Video websites with lots of tremendous functionalities such as to provide video banner you would have never ever seen. 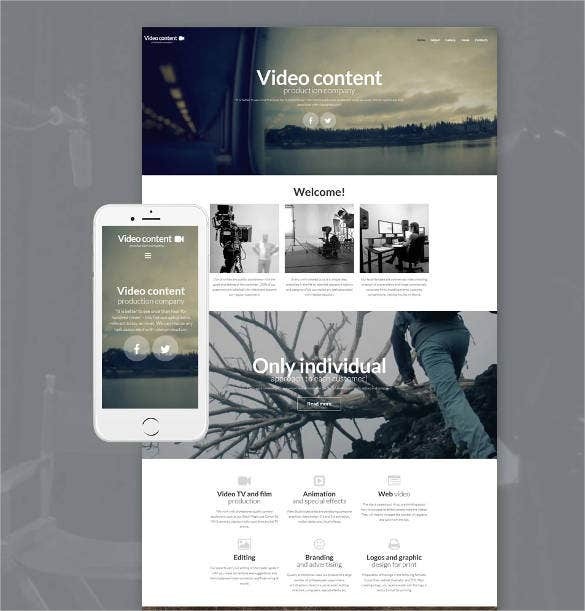 This responsive video page template has a niche, flat, and clean appearance and seems to be ideal for entertainment and video portfolio. It features a perfectly clean and flat grid layout and promises easy customization. 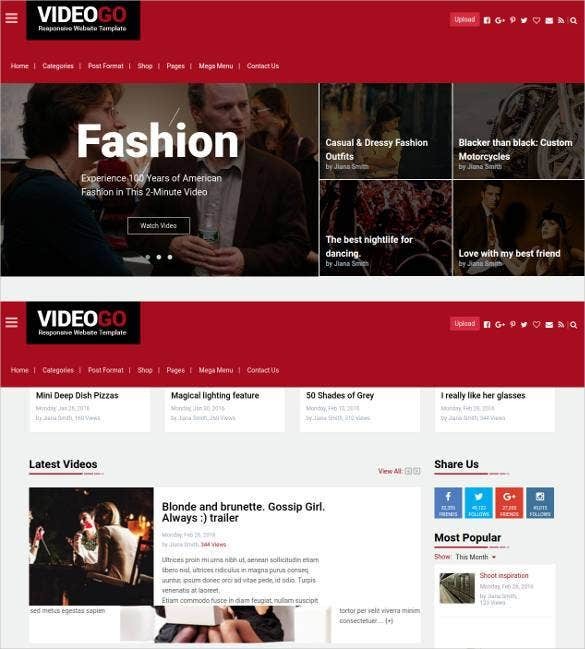 Slim Video is an online video website template that features Drag and Drop Layout Builder, Customization Option to Manage Content, Multi Column Layout, and Built-In Mega Menu. It comes WooCommerce Ready and with a Solid Framework. This powerful website template offers the option to showcase videos from different corners of the web. It is loaded with flexible slider, automatic video thumbnail, theme options panel, and easy video embedding options. This Ghost multipurpose video theme is perfectly apt for video bloggers. Built using Bootstrap 3, it feature multiple animation effects, modern flex slider, Ghost high speed page load, and 4 homepage variations. 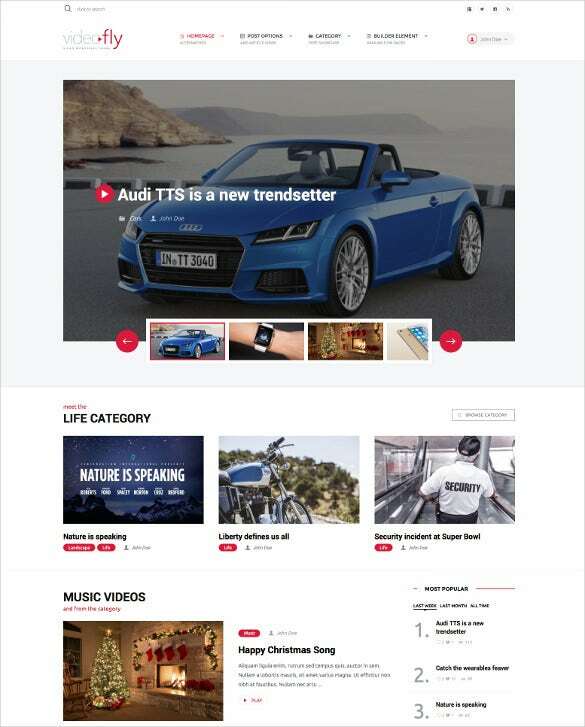 This video html5 template is retina ready and promises to be 100% responsive. It is packed with features like Working AJAX Contact Form, Layer Slider JQuery Plugin, Parallax Background Effect, and Google Fonts API. 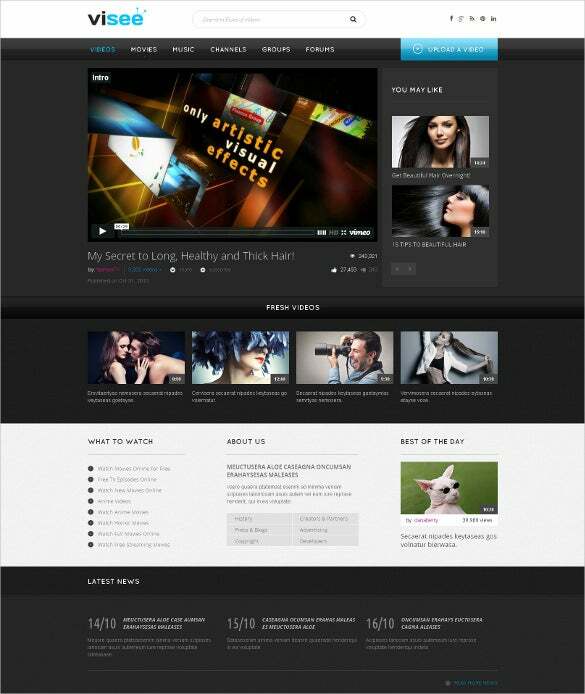 This wordpress video website template is loaded with exclusive features to be included for the video blog. Some features include visual customizer, ecommerce tab in the options panel, separate portfolio section, and custom post types. 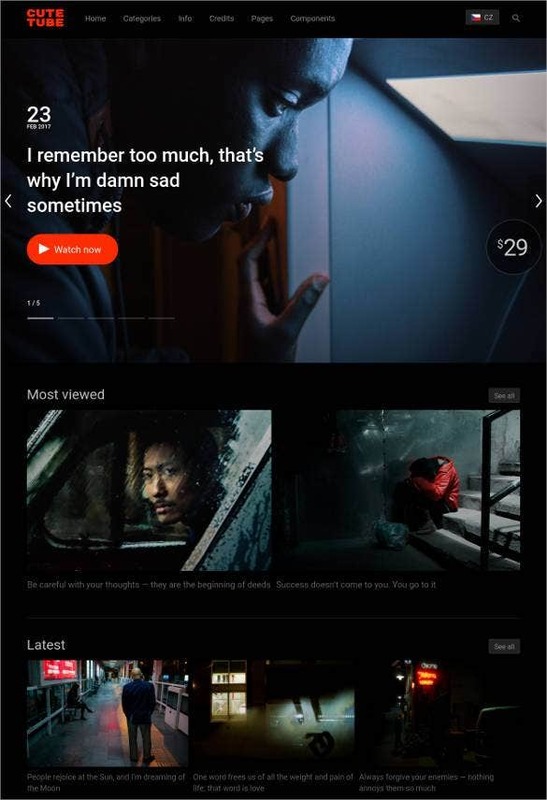 Viduze, as this video store template is popularly known by, has been developed using latest Bootstrap engine and promises to be 100% responsive. 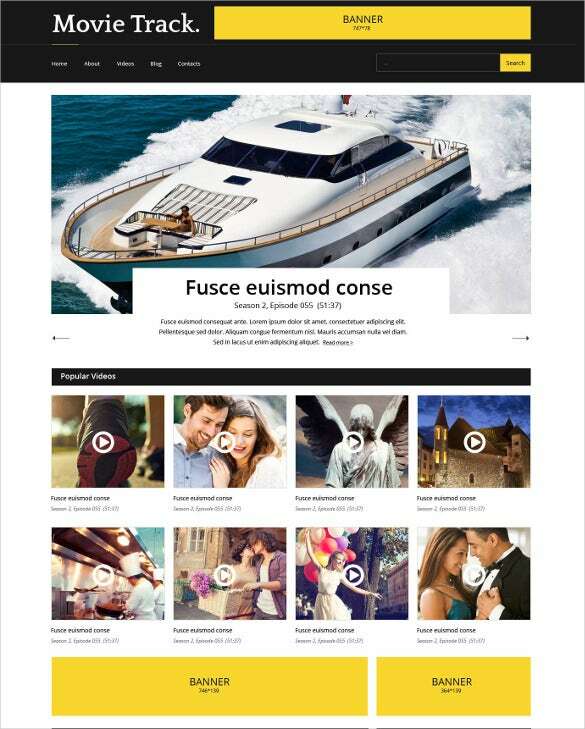 It features sitemaps, 404 page, video magazines page, and social media pages. Self-Hosted Video Streaming Website Theme basically consist of video hosting. Video hosting comprises of an open API, seamless combination, organization, and analytics. With the help of video hosting, you can easily do the task of video upload. 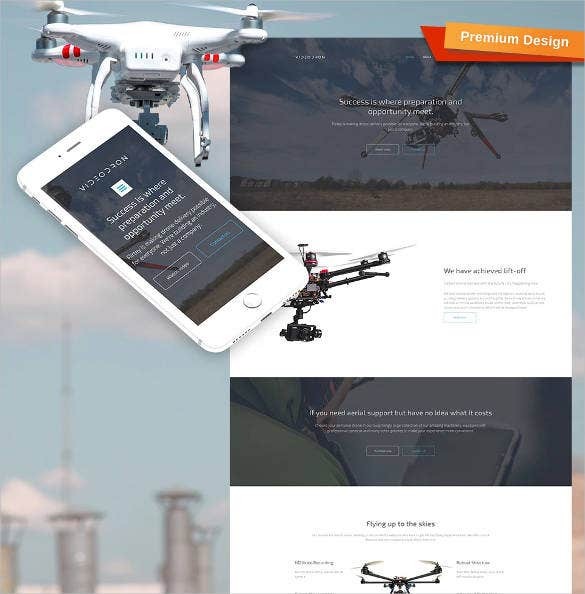 Responsive One Page Video Website Template comes up with some exclusive features such as Ghost Buttons, Fashionable B/W Colour Schemes, and also Circular Elements. 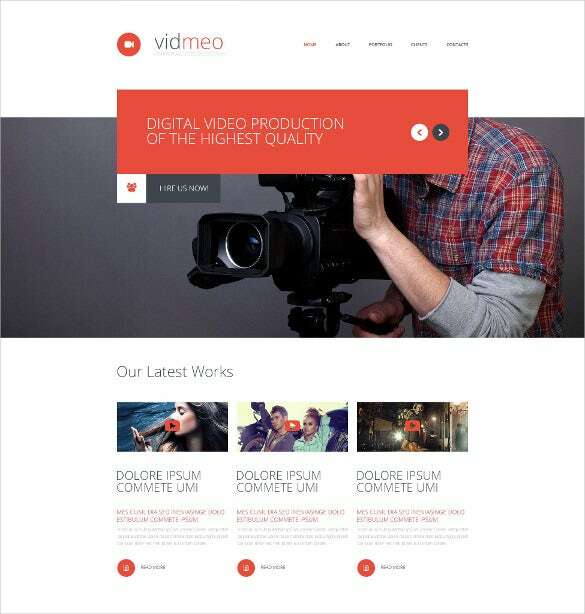 Video responsive website template is effortlessly apt for the videographers. 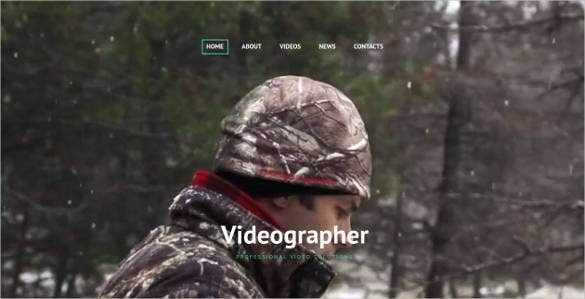 This video production website template is perfectly apt to setup videographer and photographer online portfolio. The video background comes with circular elements and strategically separates the video content blocks. 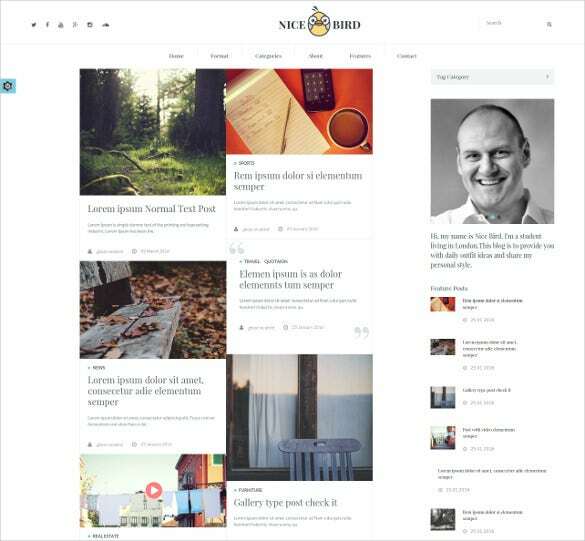 Grid based layout makes the overall appearance look less cluttered. 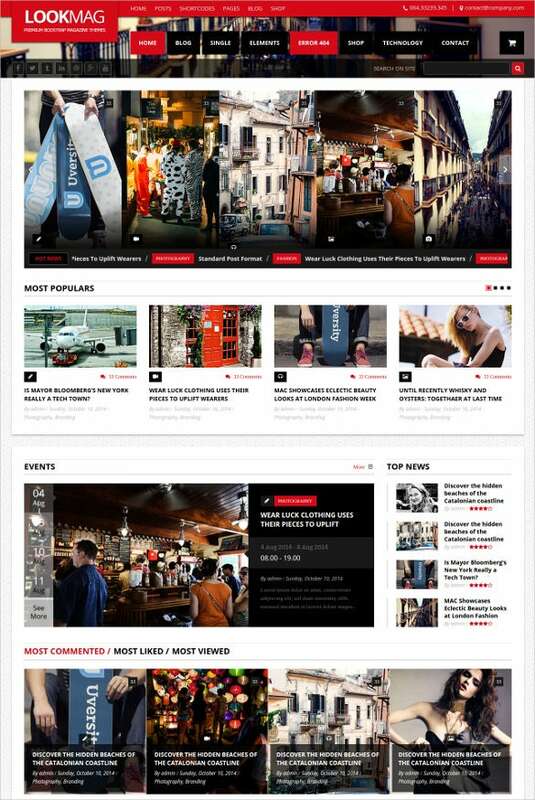 What’s more, these premium templates are available free of cost so this will certainly augur well for you since no extra money is required for you to have these templates added to your website. These templates are compatible with a variety of operating systems so you would not need to worry about the internal settings of your computer system. The layout is extremely simple and easy to operate and even if you are not familiar with it as a new user there is nothing to worry about since these templates have a user-friendly help guide attached to them. 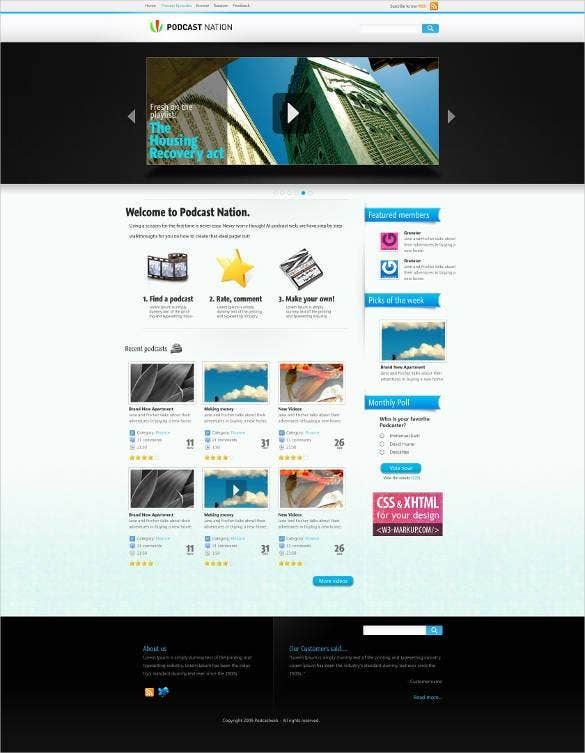 Enjoy the world of responsive website templates to the fullest.